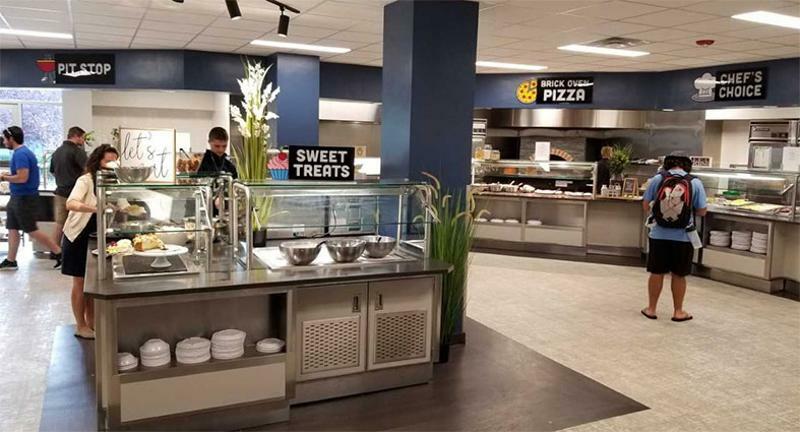 When planning its new Dulany Hall Dining Room, the dining team run by Aladdin Food Management at Columbia College Missouri knew it had to craft an inviting place that could accommodate a growing student population. 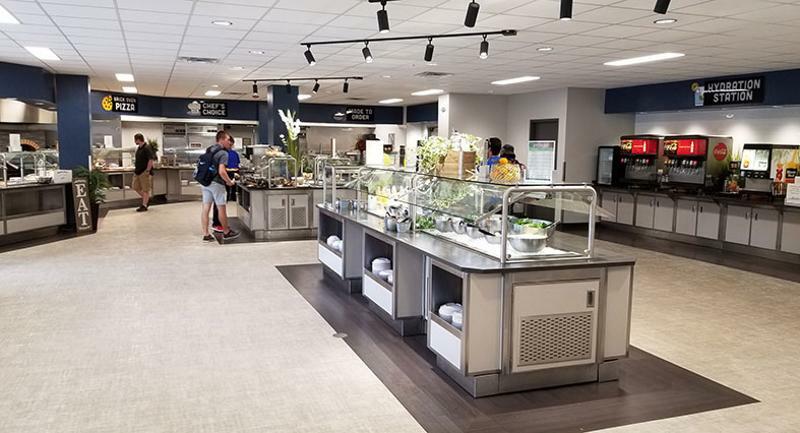 “We needed more space and it definitely needed a modern touch to it,” says Sara Lynn, director of food and dining services at the Columbia, Mo., school. Students visiting the renovated 240-seat dining hall, which opened last fall, now have access to continuous dining from 7 a.m. to 9 p.m. from an array of different stations. Here is an inside look. 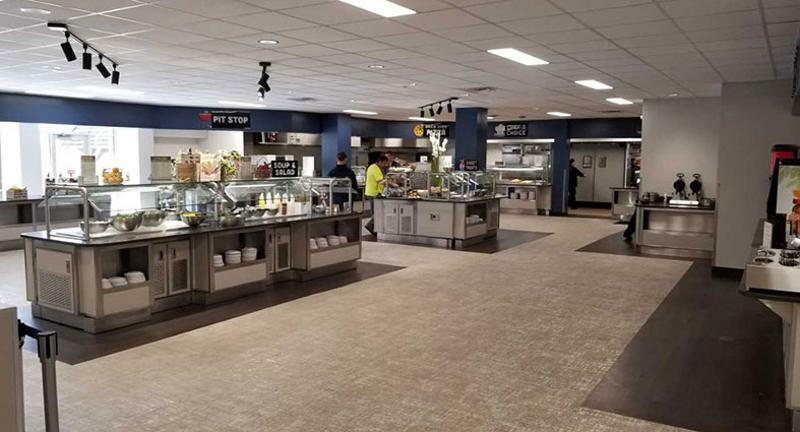 The dining hall’s six stations were chosen through student feedback, and include a vegan and vegetarian option, a grill and a deli where students can create their own sandwiches. Diners can also enjoy pizzas made in a brick oven, which will soon be available for takeout. “We’re going to start selling them to the students who want to take a couple pizzas to go back to their room and to faculty and staff for them to pick up on their way home or if they want to take it back to their office,” says Lynn. The back of house received a facelift as well. 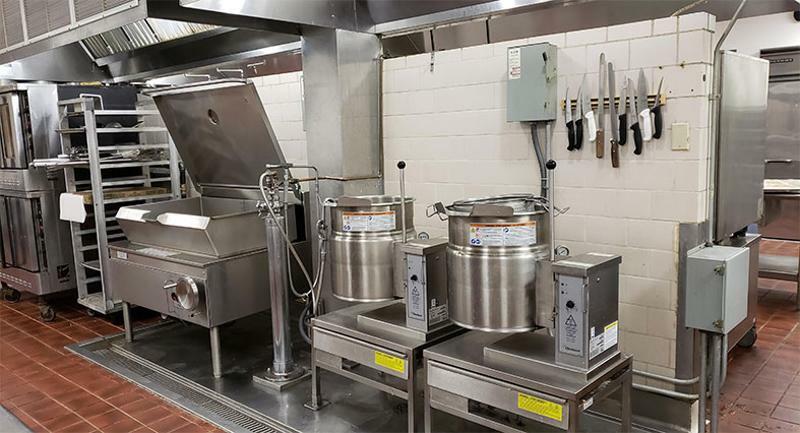 Staff now have three new pieces of equipment: a flat top grill, a tilt skillet and an eight-burner stove. Previously, employees worked on six burners, and Lynn says the two extra burners have “helped out considerably” in keeping the back of house organized.